A friend recently had a baby boy, and to commemorate the occasion I wanted to make her a simple gift so I settled on a baby bib. 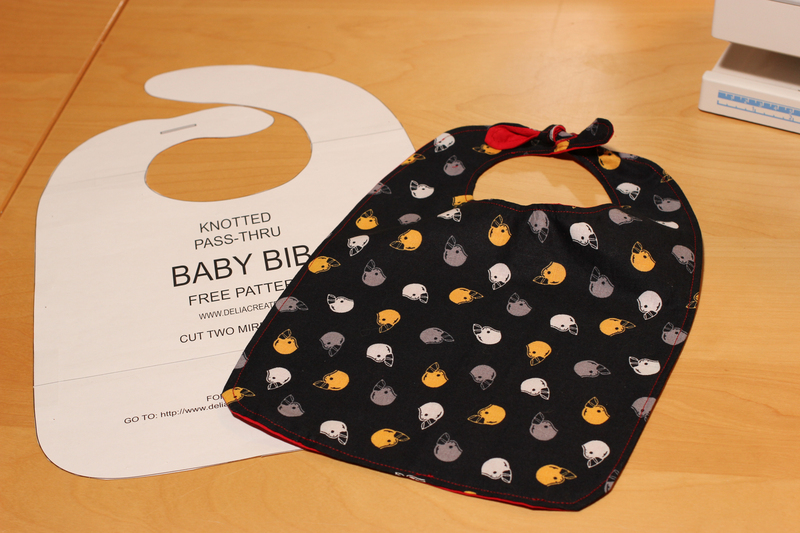 This free pattern from Delia Creates was the perfect solution. I love the simple way it fastens – with a little knot that is pulled through a button hole. My friend’s baby shower was Nascar themed, and the baby’s namesake has to do with her alma mater, so I decided on a football theme for the bib in her university’s colors. 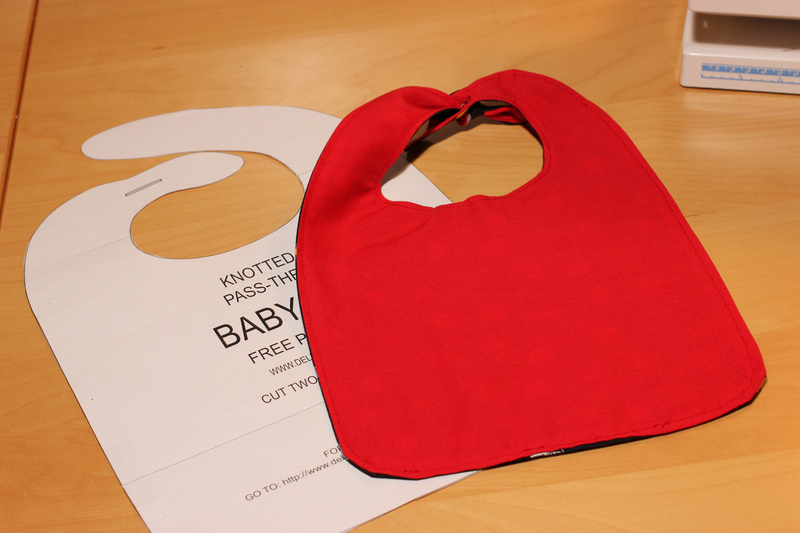 I was lucky to find the helmet pattern and then used a solid red for the back of the bib. The pattern was easy to follow and went together quickly.